Both Jim and Buzz get into their stolen cars and drive towards the starting line. The teenage crowd also lines up their cars. There is a lot of excitement. The only one that looks worried is Plato, Jim's friend. 'Yeah give me some dirt.' Buzz rubs the dirt into his hands for more grip. Buzz is the leader of a gang and Judy's boyfriend. Jim is the new kid in town. They both like Judy. So, they try to settle their rivalry with a game of chicken. Both Jim and Buzz look confident. They look at each other, rev their cars and smirk. The crowd turns on their car lights, marking the set path to the cliff. Plato crosses his fingers, on both hands. Judy makes the signal...and they are off. Who will blink first? The cliff is fast approaching and both drivers look at each other. This time, they look worried. Buzz reaches out for the car handle door first...but his jacket strap gets stuck in the lever. Buzz is still stuck, and both cars drive off the cliff, exploding on impact. Jim is chicken. By accident, Buzz wins. But he is also dead, so has he won really? Many movies have featured similar chicken game scenes since this one appeared in Rebel Without a Cause. Usually though, the cars are facing each other instead of a cliff, and the one who swerves first loses. Sometimes we feel the US Federal Reserve and the markets are playing their own game of chicken. The US Federal Reserve needs to increase rates to prepare for the next recession. Markets don't want the rate hikes because they will cut on earnings and make debt more expensive. If you want to protect your family wealth, you need to know why this financial expert is predicting economic collapse. Find out more here. The Fed has been saying they are resolute on their hiking path...but they also don't want markets to quit midway and tumble. In October the Fed said it was a 'long way' from its neutral rate, which implied that more rate hikes were coming. Markets tumbled in response. In November the Fed said the rate was 'just below' its neutral rate. That is, he hinted that the Fed may not be raising rates as quickly as initially expected. After a bad December, markets are now cheering on the news of a great jobs report. The economy added 312,000 jobs in December, much more than the 182,000 it forecasted. Average hourly pay is up by 3.2%. The thing is, a good jobs report may mean more rate hikes this year. That's why the Fed tried to appease the markets on Friday by indicating they may be taking a break from rate hikes. 'Federal Reserve chairman Jerome Powell pledged to be patient with any future interest-rate hikes, allaying Wall Street concerns that the central bank will snuff out the US economic expansion and pledging to stay even if President Donald Trump asks him to resign. 'Potentially laying the groundwork for a pause in the Fed's campaign of gradual rate hikes, Powell said that he's "listening sensitively to the message that markets are sending" about downside risks to growth. There are calls to 'buy the dip'. But we don't think this is temporary...or a 'glitch'. We think turbulence is not over by a long shot...and that this is a warning of a coming recession. Markets have been moving sideways since October. Similarly, the S&P 500 market moved sideways for much of 2007 before plummeting in 2008. As you can see in the chart below from Elliott Wave, many of the major financial crisis in the last 52 years happened after the US Federal Reserve increased rates. One thing to note about the above chart. 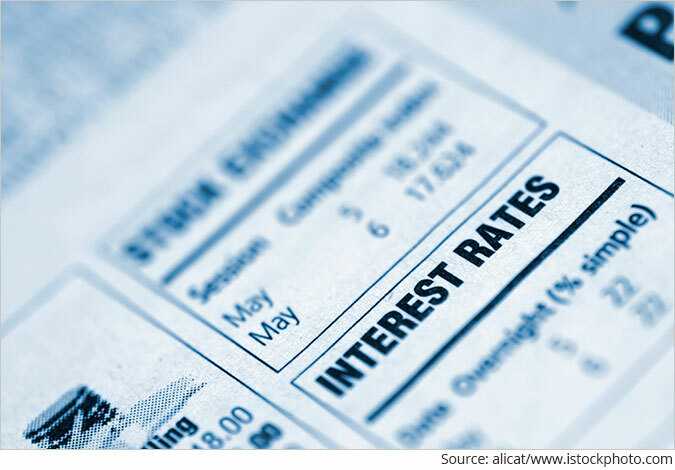 Interest rates haven't been this low for this long in the last 50 years. That's why the next one could be bad. This is a time to prepare. Cut your risk exposure and load up on cash. The market and the Fed may be playing a game of chicken. But they are also still heading for the edge of the cliff. Please note: This article was first published in Markets & Money on 8th January 2019. We request your view! Post a comment on "The Markets Are Heading Towards a Cliff... First to Jump is Chicken". Thank you for posting your view! 1 Responses to "The Markets Are Heading Towards a Cliff... First to Jump is Chicken"